1. Application of high technologies on the list of high technologies prioritized for development investment under the Prime Minister’s decisions. 2. Manufacture of products on the list of hi-tech products encouraged for development under the Prime Minister’s decisions. 3. Manufacture of supporting industry products under the Prime Minister’s decisions. 4. Hi-tech incubation and hi-tech enterprise incubation; venture investment in hi-tech development; hi-tech application, research and development in accordance with the law on high technologies; manufacture of biotech products. 5. Production of software products, digital content products, key information technology products, provision of software services, information security incident response and information security protection services in accordance with the law on information technology. 6. Production of renewable energy, clean energy and production of energy from waste. 7. Manufacture of composite materials, light construction materials, precious and rare materials. 8. Forest planting, tendering, nurturing, protection and development. 10. Production, propagation and creation of plant varieties, animal breeds, forest plant varieties and aquatic animal breeds. 11. Salt production, mining and refining. 12. Offshore fishing using advanced fishing methods and gears; fishing logistic services; construction of fishing ship building facilities and building of fishing ships. 13. Rescue services at sea. 14. Centralized collection, disposal, recycling and reuse of waste. 15. Building and commercial operation of infrastructure of industrial parks, export processing zones, hi-tech parks and functional quarters of economic zones. under the Prime Minister’s decisions. 17. Development of mass transit in urban areas. 18. Construction, management and commercial operation of rural marketplaces. 19. Construction of social houses and resettlement houses. 20. Investment in epidemic prevention and control facilities. 21. Scientific research in pharmaceutical production technologies and biotechnologies for production of new medicines. 22. Production of pharmaceutical materials and primary medicines, essential medicines, medicines for prevention and treatment of social diseases, vaccines, medical bio-products, herbal medicines, traditional medicines, medicines of which patents or other related monopolies are expiring soon; application of advanced technologies and biotechnologies to produce curative medicines for humans according to international GMP standards; production of packages in direct contact with medicines. 23. Investment in methadone plants. 24. Investment in and commercial operation of high-achievement sports training centers, sports training centers for people with disabilities; construction of sports establishments with training and competition facilities and equipment for organization of international tournaments; and professional sports training and competition establishments. 25. Investment in and commercial operation of geriatric and psychiatric centers, centers for treatment of Agent Orange victims; nursing homes for elderly people, people with disabilities, orphans, and street children. 26. Investment in and commercial operation of medical treatmenteducation-social labor centers; drug and tobacco addiction treatment establishments; HIV/AIDS treatment establishments. 27. Investment in and commercial operation of national museums, national cultural houses; national dance, music and song troupes; theaters, film studios, and film production and film printing and development establishments; fine arts and photography exhibition halls; production, manufacture and repair of traditional musical instruments; maintenance and conservation of museums, national cultural houses and arts and culture schools; establishments and craft villages for introduction and development of traditional crafts. 1. Manufacture of products on the list of key mechanical products under the Prime Minister’s decisions. 2. Investment in research and development (R&D) activities. 3. Manufacture of steel billets from iron ores, high-class steel and alloys. 4. Manufacture of coke and activated charcoal. 5. Manufacture of energy-efficient products. 6. Manufacture of petrochemicals, pharmachemicals, basic chemicals, and plastic and rubber technical components. 7. Manufacture of products with an added value of 30% or more (as guided by the Ministry of Planning and Investment). 8. Manufacture of automobiles and spare parts; shipbuilding. 9. Manufacture of electronic accessories and components and detail assemblies outside List A of this Appendix. 10. Manufacture of machine tools, machinery, equipment, spare parts for agricultural and forestry production, aquaculture, salt making, food processing machinery and irrigation equipment outside list A of this Appendix. 11. Production of asbestos substitutes. 12. Rearing, growing, harvest and processing of pharmaceutical materials; protection and conservation of genetic resources and precious, rare and endemic species used as pharmaceutical materials. 13. Production and refining of feeds for cattle, poultry and aquatic animals. 14. Provision of scientific and technical services for cultivation, husbandry, aquaculture, plant and livestock protection. 15. Building, renovation and upgrading of slaughterhouses; industrial-scale preservation and processing of poultry and cattle. 16. Building and development of centralized material zones for processing industries. 17. Exploitation of aquatic resources. 18. Building and development of infrastructure of industrial complexes. 19. Building of apartment buildings for workers in industrial parks, export processing zones, hi-tech parks, economic zones; building of condominiums for students and houses for social policy beneficiaries; investment in construction of functional urban centers (including preschools, schools and hospitals) for workers. 20. Response to oil spills, mountain, dike, riverbank, coastal, dam and reservoir erosion and other environmental incidents; application of technologies to reduce ozone layer-depleting greenhouse gas emissions. 21. Investment in and commercial operation of goods fair and exhibition centers, logistic centers, warehouses, supermarkets and trade centers. 22. Investment in and commercial operation of infrastructures for education and training establishments; investment in the development of non-public education and training establishments of pre-school education; general education and vocational education. 23. Manufacture of medical equipment and devices, construction of warehouses for preservation of pharmaceutical products, reserves of curative medicines for humans in response to natural disasters, calamities and dangerous epidemics. 24. Manufacture of pesticides and insecticides and pesticide and insecticide materials; and preventive and curative medicines for livestock and aquatic animals. 25. Investment in laboratories to conduct bio-test and bioavailability assessment of drugs; pharmaceutical establishments meeting good practice standards for drug manufacturing, preservation, testing, and clinical trial. 26. Investment in research to prove scientific grounds of traditional medicine recipes, and formulation of standards for testing eastern and traditional medicine recipes. 27. Investment in and commercial operation of physical training and sports centers; training facilities and physical training and sports clubs, stadiums and swimming pools; establishments for production, manufacture and repair of equipment, supplies and equipment for physical training and sports. 28. Investment in and commercial operation of public libraries and cinemas. 29. Investment in construction of cemeteries and crematoria and electric crematoria. 30. Operation of people’s credit funds and microfinance institutions. Hi-tech zones and economic zones entitled to preference under establishment decisions of the Prime Minister of the Government Industrial zones established under the decisions of the Prime Minister of the Government. 11 Judicial assessment in the fields of finance, banking, construction, antiques, relics, copyrights. 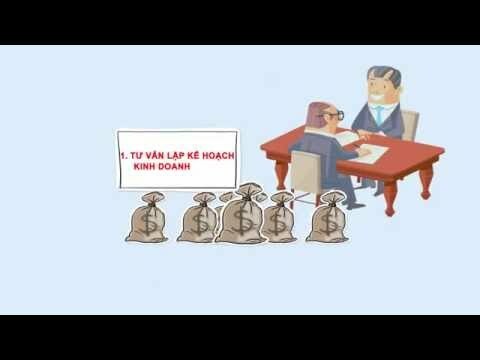 25 Securities registration, depository, offsetting, and liquidation services by Vietnam Securities Depository/organizations trading in listed securities and other securities. 72 Quality assessment of joint vocational programs with foreign vocational training institutions and foreign-invested vocational training institutions in Vietnam. e/ Business activities related to human cloning.